In The Los Angeles Times, Doyle McManus praises a "little-recognized push by the Obama administration to streamline federal regulations." He cites several examples of changes that made rules simpler and more user-friendly, and credits Cass Sunstein who was in charge of regulatory policy. 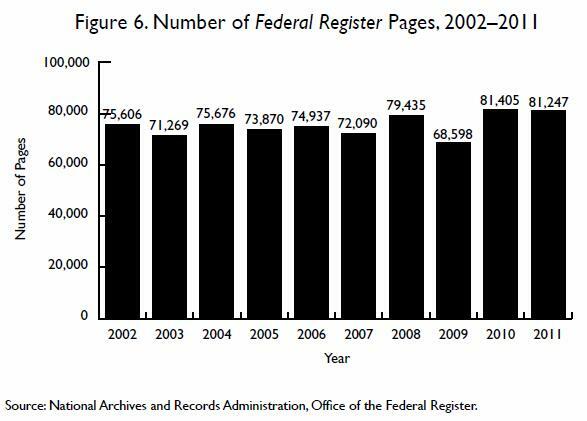 On paper, or at least in the editorial pages, 2012 was supposed to be a year of deregulation. 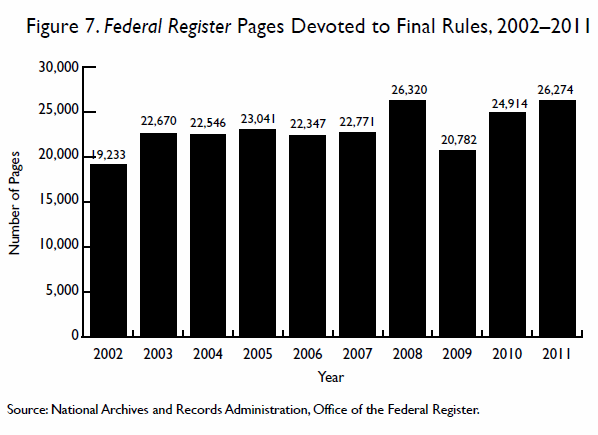 President Obama’s regulatory Czar, Cass Sunstein, wrote that the government would work “to eliminate unjustified regulatory costs and to reduce burdens.” In one respect, Administrator Sunstein was correct; in 2012 the government published $2.5 billion in regulatory rescissions. However, those cost savings were easily dwarfed by more than $236 billion in new burdens. This caps a $518 billion regulatory expansion during the last four years, more than the combined Gross Domestic Product of Portugal and Norway.